Predicting what will happen over NHL Draft weekend is perhaps as challenging as coming up with the Trifecta at Santa Anita on any given weekend. 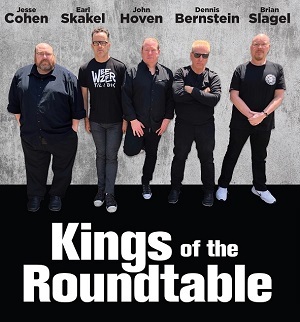 Even last year, when the Kings plans going in were well documented here on MayorsManor – after being confirmed by multiple sources within the organization – all it took was one innocent conversation to change the playbook completely. Assistant GM Mike Futa went to speak with the Boston Bruins about possibly acquiring a pick from them in the first round, only to find that Milan Lucic was suddenly available (after being rebuffed by the Bruins when the Kings inquired about the rugged winger a month or so prior). Fast forward 24 hours and the Kings had dealt multiple assets, including their own first round pick in 2015, and there you have it – all plans out the window. Sitting here today, on the eve of the 2016 NHL Entry Draft, our Kings sources tell us even though there are multiple directions the team can go, everything is starting to come into focus after waiting several weeks to get clarity on a possible contract extension for Lucic. 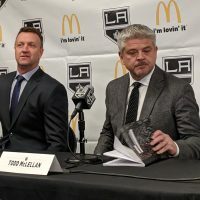 With that finally behind them once and for all, the immediate concern is three-pronged: find a seasoned winger to play with Anze Kopitar, find a second pairing defenseman (to fill the gaping hole left by Slava Voynov’s departure), and re-stock the pipeline with some goaltenders. Hindering the Kings ability to do any and/or all of the above are two key factors. For starters, they have limited draft picks available this year (only four at the moment, and none in the first round) to select players or trade away for other assets. Also, they have limited cap space to work with, even without inking Lucic to an extension. Let’s start with the NHL roster, where things are very much in flux. Dustin Brown and Marian Gaborik have both been available via trade. Thus far, there have been no takers. Jake Muzzin and Alec Martinez have two of the other four “large” contracts that could be considered in a deal to free up cap space. Yet, among the people we have spoken with in the past few days, there doesn’t seem to be much of an appetite among management to move a defenseman, when that is the biggest area of need. While you could argue that would simply be robbing from Peter to pay Paul, it more likely really depends how you see Martinez. Is he a better second or third-pairing guy? If it’s the latter, trading him to acquire a true second-pairing defenseman might be the smart play. Even so, that doesn’t appear to be an option at the moment; hence why they’re working a different angle. Signing a “big name” Unrestricted Free Agent to round out the blueline doesn’t appear to be Plan A or even Plan B. 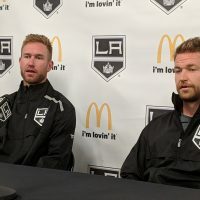 The Kings currently have eight defensemen under contract for next season – Muzzin, Martinez, Drew Doughty, Brayden McNabb, Rob Scuderi, Matt Greene, Derek Forbort, and Kevin Gravel. As we understand things, if everything falls into place, Scuderi is most likely put on waivers at the end of training camp (and sent to AHL Ontario if he clears). Consistent with our reports over the past few months, all indications are, Gravel would have to play himself off the Kings roster at this point; so pencil him in. That leaves Forbort as a likely trade candidate in the days ahead. 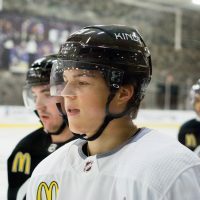 One thing that has been shared with MayorsManor multiple times in the past few months, is the Kings do not want to “give” Forbort away on waivers like they did with fellow first round pick Thomas Hickey back in 2013. This line of thinking gets them down to six defensemen on the opening night roster, leaving one spot to fill. From what we’ve been told, they’re targeting several young NHL prospects (or near prospect level) to fill that spot; said to be guys who have between (roughly) 50-150 games of NHL experience. 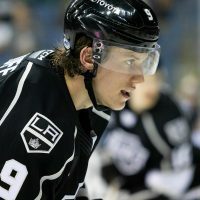 Regardless of the specific scenario that plays out – a Kings prospect for another team’s prospect, or an established player on the Kings current NHL roster for another team’s prospect – this is the current thinking as we approach the next four weeks, which could be deemed ‘Makeover Month’ in Los Angeles. Even if they get one of the young defensemen they covet, internally, that will only be viewed as a bridge. Unless something unexpected comes together here quickly, we’re told the plan will be to open these season with the group described above, and then trade for a more seasoned defenseman in January. Now, if you think you’ve heard that plan before, you have. That was roughly the plan two years ago, when the Kings ended up going for a rental in Andrej Sekera. That deal still haunts them somewhat; as many in the organization believed they would sign him to a 5×5 contract extension ($5M for five years). Of course, that never happened; which is one of the many reasons why giving up the Kings 2016 first round draft pick in that deal hurts so much. At the same time, you can’t fault GM Dean Lombardi for trying. He believed that team had another Cup run in them, coming off the 2014 win the year prior, and went ‘all in’ to try and push them over the top. You win some, and you lose some. Last year, the plan on defense was similar. 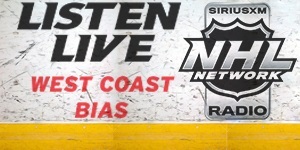 In short, ride out the Voynov legal situation and see what happened. If he never made it back to the NHL, they would have the cap flexibility to take on any contract in the league sometime around February 1st. In the meantime, Lombardi dealt for Luke Schenn as a bridge. That didn’t really hurt anything (they didn’t pay a steep price to get him). In the end, though, the bigger blueline acquisition never materialized. Will the third time be the charm? Andrew Ladd, who Kings had some interest in prior to trade deadline is said not to be an option for Kopitar's new wing. Eriksson? "Maybe"
Another name to keep an eye on is Kyle Okposo. Back in net, they recently signed unrestricted free agent goaltender Jack Flinn (he was an invitee to last year’s Development Camp). Standing 6-foot-8, he has a lot of promise coming off of three seasons in the OHL. They will almost certainly draft at least one netminder, possibly even two if they’re able to acquire a few extra draft picks in other deals. Beyond that, look for several junior hockey-aged free agents to be invited to Dev Camp next month and at least one NHL free agent to be invited to training camp in September. When we first heard about this, it was quite the stunner actually. Forget about the fact he’s essentially a $2M third liner who rarely scores. It’s no secret he’s one of Sutter’s favorite players and has been the go-to guy when the Cup winning coach has pulled out his blender and needed new life pumped into the top six. Still, from everything shared with us, he’s as good as gone. A lot of luck would likely have to land at Lombardi’s doorstep for King to stay and another forward (or several other forwards) to depart instead. One of the most controversial players among the Kings bottom six, Shore certainly didn’t live up to offensive expectations when he took over for Jarret Stoll as the third line center last season. One year doesn’t make a career though… and this is the guy who was leading the AHL in scoring at the time of his call-up two seasons ago (on a Monarchs team that was definitely defensive minded). He also is an advanced stats darling and those type of players are gaining in popularity around the league. Teams have called about Nolan before, but the Kings just weren’t willing to move him. He’s signed to a sweetheart of a deal – and for a cap strapped team like L.A., that makes them like the idea of moving him even less. Many in management believe in the right system, Nolan could provide more offense. If they can convince another team of that, he may be worth picking up in the right deal. This one is tough for a lot of reasons. It’s no secret the Kings have been close to dealing Clifford on at least two separate occasions over the past few years. Even so, he is a favorite among management and the coaching staff. On one hand, he should bring more value than Nolan (some still believe Clifford could be a poor-man’s Wayne Simmonds or Rick Tocchet). His injury woes in recent seasons are a concern. Given he took a hometown discount to re-sign with the Kings, we still think Lombardi will have a tough time parting with that type of loyalty. Let’s be clear, the Kings don’t want to trade Tanner Pearson. They are also mindful of the old saying, ‘To get something of value, you have to give something of value in return.’ For that reason, if he goes, we’re told it would have to be in a deal involving a defenseman – in what most likely would be a multi-asset trade. 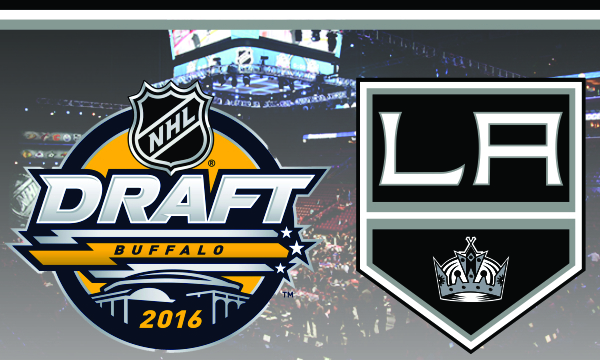 Which young players from other NHL clubs might the Kings be targeting? Our Andy Tonge took a look a few specific players here. You’re forgetting to take into account the expansion draft that will take place after the coming season. The Kings can only protect 3 D, and the unprotected D have to play a certain number of games. So who do the Kings protect? Doughty for sure. I would say Muzzin as well. If they also protect Martinez, then the vegas team could pick that other D the kings go out and get. Exactly–this is an important point that most are missing. This is why any deal should be for someone who will not have to be exposed. Ive seen different numbers reported, but they would have had to play fewer than 10 games last year to be draft exempt. If its with New Jersey Steve Santini might is a great fit. Good size, right shot, puck moving defenseman, who would be draft exempt (as he has played only 1 NHL game). I missed the draft yesterday. Where did Dwight King get traded to?